Wollongong, NSW-based Leussink Engineering has teamed up with German precision flat bearing company Corts Engineering to refurbish AcelorMittal steel mills in Kazakhstan. The engineering team will machine rolling mill stands at the mills, with the companies claiming that they can refurbish even the oldest ferrous and non-ferrous mills to nearly their original condition. Leussink said that its partnership delivered on its goal of winning international work, and was a recognition of its expertise by the world’s biggest steelmaker. “The appointment of Corts-Leussink to refurbish six iron ore mills in Kazakhstan is a major success and shows that an Australian company based in the city of Wollongong has trained its technical staff to a level where they are being sought internationally,” said director Jason Leussink in a statement. 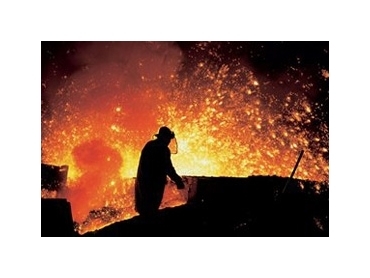 “In quick succession this Kazakhstan appointment is the third steel mill that the Corts Leussink Partnership has done in Europe (the first was Romania and more recently in Italy). AcelorMittal also operates 29 mines around the world. It aims to produce 100 million tonnes of iron ore by 2015 through acquisitions and expansions to its existing assets.